Park at the Pioneer Mail Picnic area and cross Sunrise Highway to the Pine Mountain Trail trailhead. 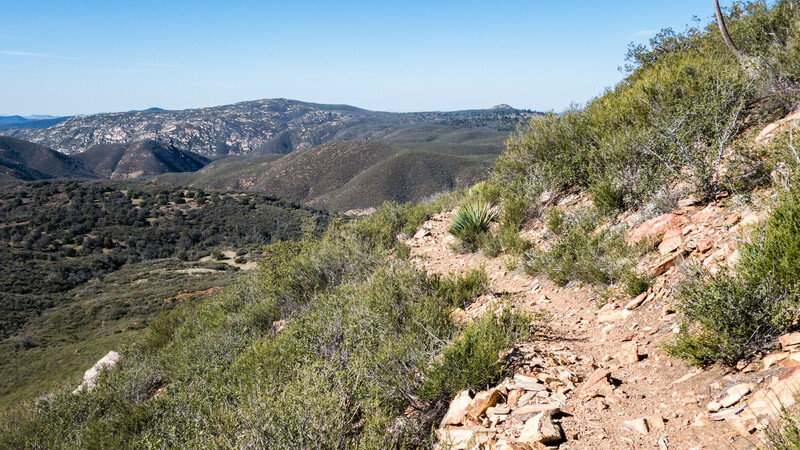 Follow Pine Mountain Trail for approximately 2.4 miles to the Indian Creek Trail crossing. 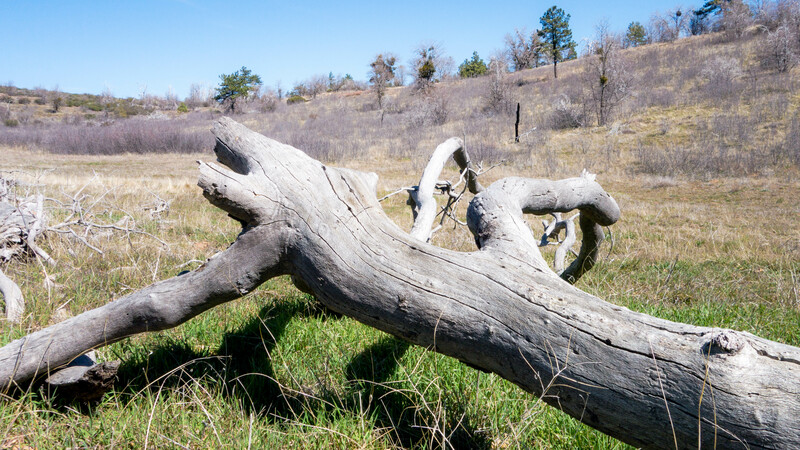 Head north on Indian Creek Trail for another 2 miles toward Pine Valley Creek until you reach Deer Park Road. 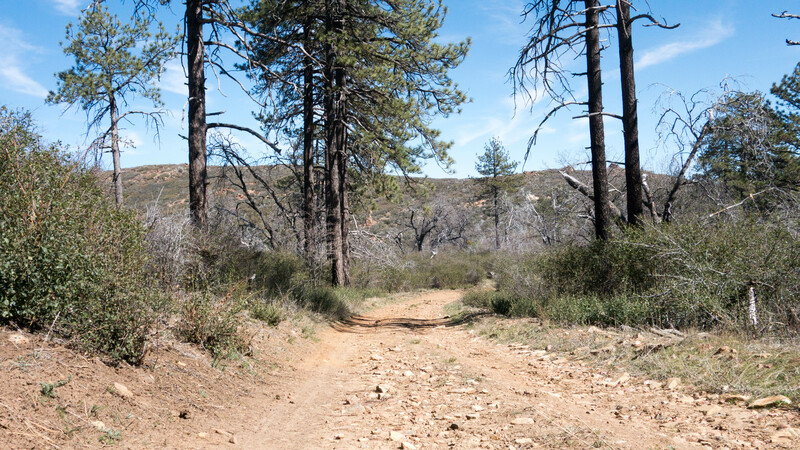 Deer Park Road is a well cut fire road that parallels the boundary of Cuyamaca Rancho State Park. 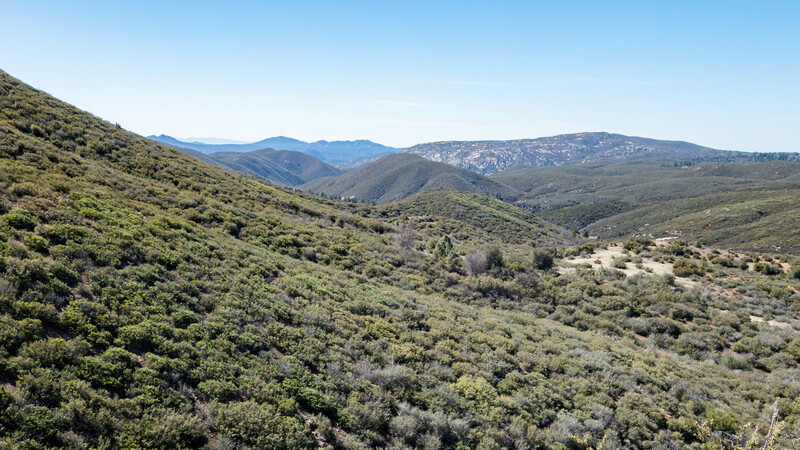 Follow Deer Park Road northeast for a little more than 1 mile until you reach the top of the hill and the junction for Indian Potrero Road. Indian Potrero Road is a major fire road and the only connection before Deer Park Road heads down into the valley. 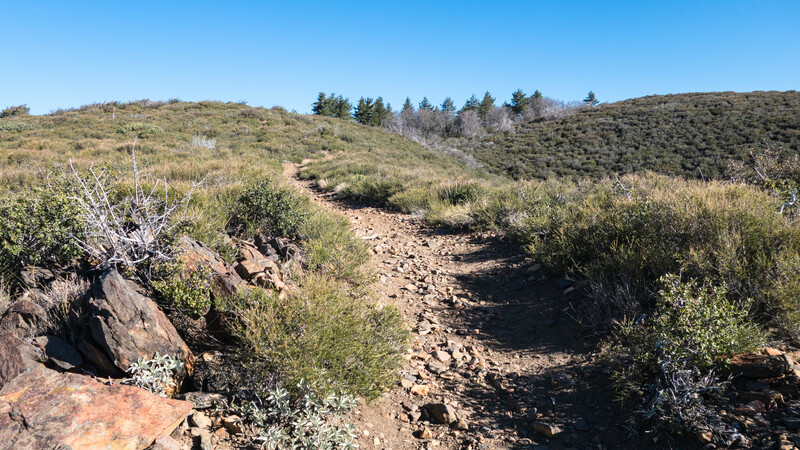 After about 1.5 miles on Indian Potrero Road you will catch your first real glimpse of the summit. You may see some old tire tracks that go east towards the summit. Follow the path and you will soon find yourself immersed in a beautifully quiet pine tree forest. The perfect spot for a picnic. From this point, it’s an easy 1.5 mile hike back to Pine Mountain Trail. 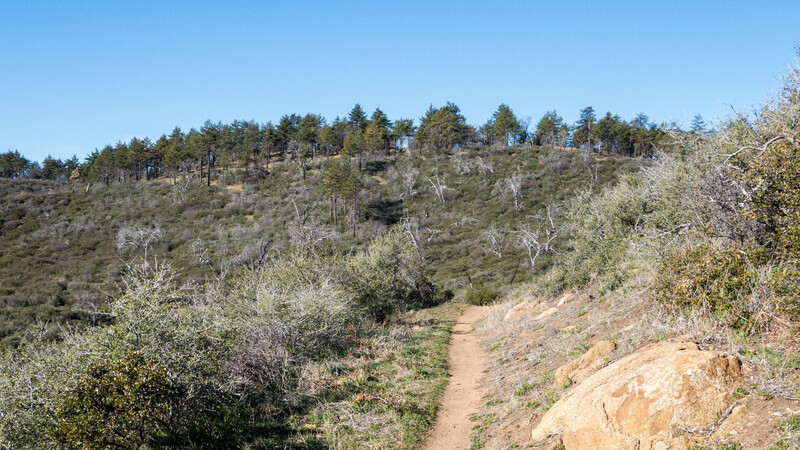 Take Pine Mountain Trail east to complete the loop and return back to the Pioneer Mail Picnic area parking lot. 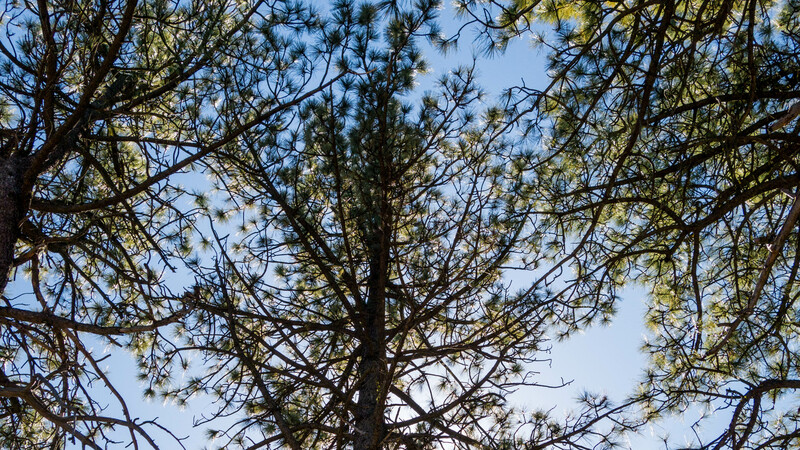 Pine Mountain Loop trail info.